In this video, you’ll learn how to remove unwanted objects from your images using layers and masks in Adobe Photoshop. By the way, if you didn't catch Part 1 of this series that covers removing unwanted objects with the clone stamp, spot removal, and patch tools check it out here. Sometimes you just have to get down and dirty in Photoshop and really get in and move some pixels around. The big water spot that has to be removed in this image just happen to be right in a critical part of the foreground. Unfortunately, none of the tools or techniques from Part 1 of this series was enough to get the job done, so it was time to bring in the big guns. 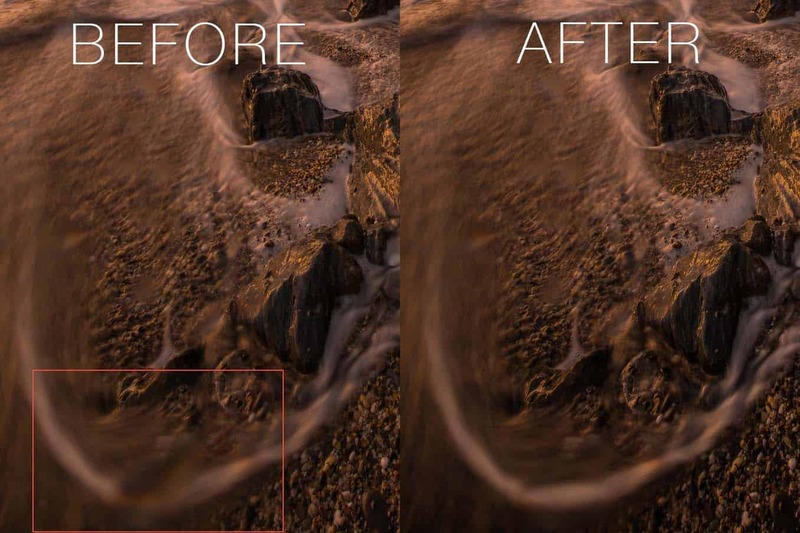 Here's a zoom in of the area before and after. Pretty cool right?